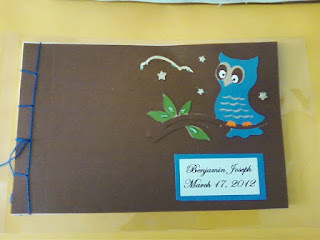 A blue hoot for a little boy! I've been so busy in the studio working on a manuscript that I've been behind on posting the weekend book creations. However, I love all the variations of colors that I've been creating this design in. I wonder what colors I'll put together next!